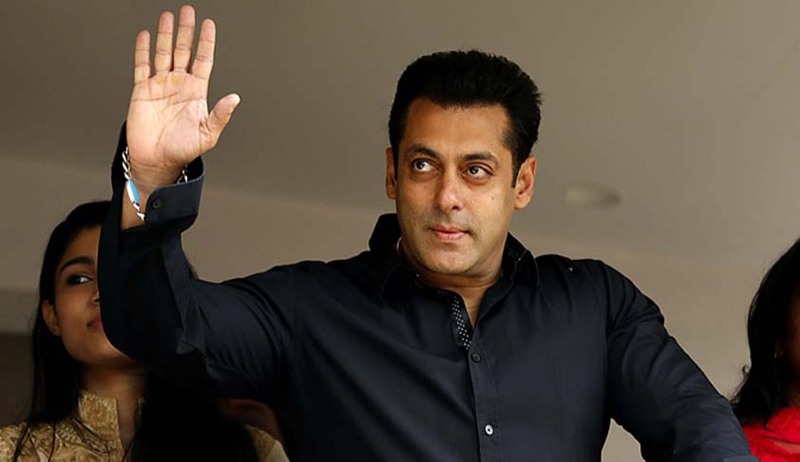 Rajasthan High Court has acquitted Salman Khan in Chinkara poaching Case by allowing his Criminal Revision Petition filed against the Judgment of Sessions Court which affirmed the order of Conviction and sentence passed by Chief Judicial Magistrate, Jodhpur. The CJM had convicted him under S.51 of Wild Life Protection Act and sentenced to undergo 5 years' simple imprisonment along with fine of Rs.25,000/- and in default of payment of fine to further undergo 3 months simple imprisonment. In the second case i.e. Criminal Case No.206/1999 which pertains to FIR No.163/1998, Salman Khan was convicted for five years for the alleged hunting on 28.09.1998. The appeal preferred against the said conviction, too, has been dismissed by the Sessions Court vide judgment dated 24.08.2007. The allegation against Salman was that he involved in poaching of two blackbucks near Jodhpur in October, 1998. The case was registered by Luni Police station in Jodhpur alleging that arms used by the actor during the poaching incident had expired licences and so he used them illegally. “The prosecution also admits that they did not know and nor could make out as to which weapon was used by the accused. PW-34 Lalit Kumar Bora has stated in no uncertain terms that he could not arrive at the conclusion that the deer was hunted by an air rifle or any other firearm. Similarly, PW-35 Ashok Patni, the third Investigating Officer of the Rank of Additional Superintendent of Police, too, has admitted that he cannot make out which weapon was used for killing the deer. PW-26 Boraj Singh, S.H.O. who filed challan, too, admitted that he could not conclude as to which weapon was used. Hence, it is not understood as to how the Magistrate came to the conclusion that air gun was used in killing a deer especially in view of the discussion above. The prosecution has tried hard to convince this Court that fatal injuries can also be caused with an air gun. However, those are freak incidents where the aim is from close quarter by putting weapon so close that it is almost touching the skin. Learned counsel for the State referred to the literature of Air weapon fatalities as authored by C.M.Milroy, J.C. Clark, N.Carter, G.Rutty, N.Rooney to substantiate that even an air gun injury can be fatal. However, the said study of five cases of fatal air gun injury as identified by Department of Forensic Pathology and Histopathology, are the cases of firing at contact range to commit suicide; one person shot himself in the head, the other in the chest i.e. after the air gun was placed on the skin itself. The Investigating Officer, Lalit Kumar Bora (PW-34) admitted that he could not arrive at any conclusion with respect to the weapon, whether the hunting was by air rifle or by igneous weapons, and further admitted that it is true that in this case neither the FSL nor medical report nor postmortem is available to match the use of weapon with the injury or to state that any such weapon has been used. Thus, the prosecution has totally failed to prove the use of either fire arm or even the air gun as recovered from accused-Salman in the alleged killing of the deer. The prosecution exhibited documents Exh.P/18A which is recovery memo of knife and Exh.P/98 which is the statement of Salman Khan under Section 27 of the Evidence Act with respect to recovery of knife in FIR No.162/1998. However, the court below did not take the same into consideration as the knife was not recovered in the present case. The carcass of the deer was never recovered in this case and hence, there is no medical evidence that the said deer was killed by knife or the said knife was used as suggested. There is no evidence to establish the said theory. It is necessary to match the recovered weapon with the injuries, which is totally missing herein. The argument of the learned counsel for the prosecution that the petitioner involved in this case was involved in another case or two and therefore, he is sure to be involved cannot be taken note of by this Court. In this case, as indeed an accused in every case can be held guilty only by cogent admissible evidence which points to his guilt or innocence. The background and antecedents are not a relevant factor and these facts assume significance only after the finding of guilt is arrived at on the basis of the evidence and that too only when the length of sentence has to be determined. In the detailed discussions above, this Court has already held that the statement of the eyewitness Harish Dulani cannot be read against the petitioner. He did not make himself available to cross-examine by the counsel of Salman Khan. The findings recorded by the trial court that Harish Dulani was not examined by the counsel of the petitioner in spite of being being present is not only pervert as held above but contrary to the record. Proceedings under Section 344 of the Cr.P.C. were initiated against Harish Dulani for making the false statement. The circumstantial evidence collected is both inadequate and weak. The recovery of blood stains and tyre moulds which is surrounded with suspicion was collected after 12 days of the incident from the place which is frequented by other vehicles and known for being used by military vehicles can hardly be called an incriminating circumstance. In the absence of any recovery of the carcass, absence of postmortem and absence of medical evidence as to the cause of death, there is no proof with respect to the kind of weapon, if any, used for killing, whether it was killed by a weapon at all or simply hunted and killed by some other carnivorous animal. Besides, as in the earlier Appeal No.53/2012 (Salman Khan Vs. State of Rajasthan) decided by this Court, in the present case also, the evidence collected is highly doubtful and suspicious. No pellets were found when the gypsy was searched on 07.10.1998 but they were suddenly found on 12.10.1998. No weapons were found when the room was searched on 10.10.1998 but surprisingly were recovered from the same room on 12.10.1998 while lying around openly. The pellets recovered from the gypsy do not match with the ones recovered from either the room of Salman Khan or Saif Ali Khan, and in any case, the recovered pellets are used only for hunting small animals like a rabbit or a bird. Under these circumstances, it would be highly unsafe to place reliance on such kind of evidence which is surrounded with suspicion and doubt. Even the prosecution has admitted that they were not able to establish the weapon used for alleged hunting, leading to the acquittal of the petitioner Salman Khan of the offence under Section 27 of the Arms Act by the court below. In view of the above, the revision petition filed by the petitioner-Salman Khan is allowed. The judgment and order dated 10.04.2006 passed by Chief Judicial Magistrate, Jodhpur in Criminal Case No.206/1999 to the extent vide which, the petitioner was convicted and sentenced for the offence under Section 51 of the Wild Life (Protection) Act as well as the judgment dated 24.08.2007 passed by Sessions Judge Jodhpur in Criminal Appeal No.50/2006 to the said extent of conviction of Salman Khan is set aside. The conviction and sentence awarded to the petitioner are also set aside. He is acquitted of the charges levelled against him”.